We only have one earth upon which we all depend, and it is facing serious threats — from climate change to the rapid loss of biodiversity– that require global cooperation to address. 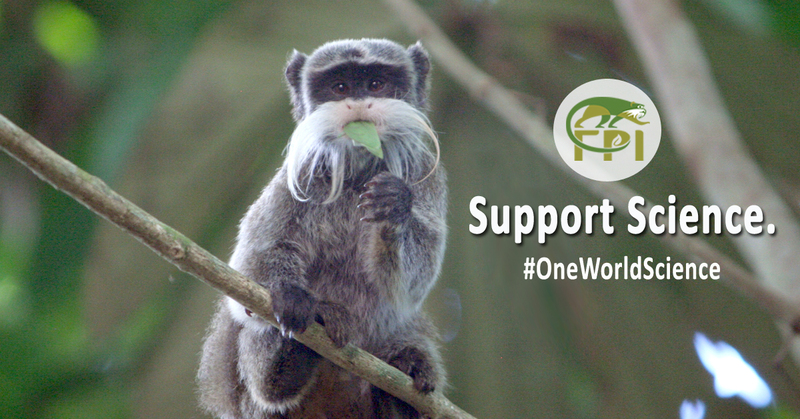 Our #OneWorldScience campaign highlights the importance of international collaboration and cross-cultural understanding in facing these challenges. 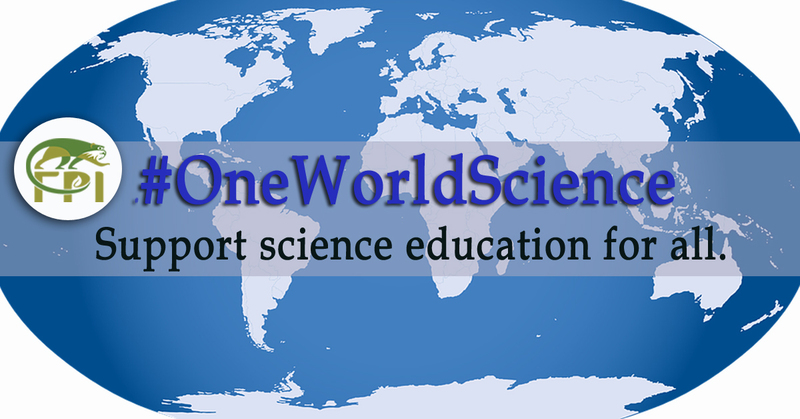 We believe that science education in particular should be accessible to all, and in working together across boundaries of nations and inclusive of all backgrounds and genders, we can advance both scientific literacy and cultural respect. 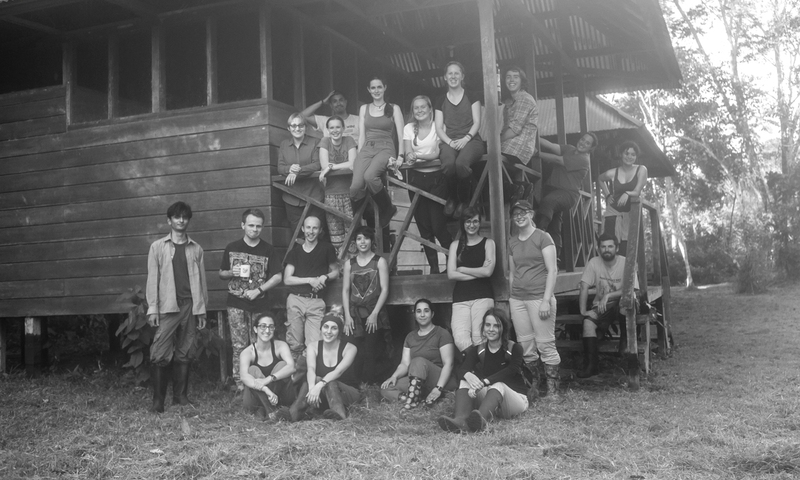 Field Projects International’s programs bring aspiring naturalists, scientists, and conservationists from around the world together to learn about tropical ecology and research methods. One way that you can support our mission of providing quality science education at this crucial time in history is by donating to our scholarship fund. Across the board scientists are taking a deep breath and tightening their belts as cross-field funding is predicted to be slashed. Along with those grants will go opportunities for students to experience the natural world and learn firsthand why protecting their planet is so vital. Nevertheless, we refuse to give up, and have instead renewed our commitment to the expanding our programs and making a positive impact. Please consider joining us. Science and conservation do not happen in a vacuum, but instead rely upon a cross-fertilization of ideas and perspectives. To understand and address world problems, we desperately need to have global conversations, collaborations, and most of all: community. 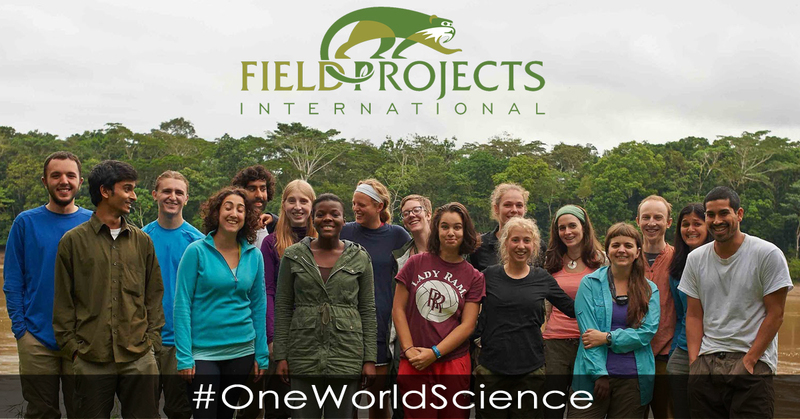 As a registered non-profit organization, FPI is committed to bringing students, researchers, and instructors from many different countries and cultures together to study the planet’s fragile biodiversity, and in doing so, helping them to also learn about conservation issues and each other. In 2016 alone, we have proudly awarded competitive scholarships to 9 students from 7 different countries, who will now be able to join a similarly multicultural group of paying students. Participants in our programs live in close quarters at remote field stations: studying, eating, and engaging in education and recreational activities with one another. While science remains the focus, our students also learn about their host countries, each other’s homes and backgrounds, and how to work together on tough problems while supporting one another. This leads to not only reflection and personal growth, but also to friendships and insights that extend well beyond the field course. We need your help to keep the momentum going this holiday season. It is our belief that greater science and cultural understanding are the best paths forward to a better world. Your donation is tax-deductible, and will help secure a better future for both the planet, and for students who otherwise could not afford this life-changing opportunity. 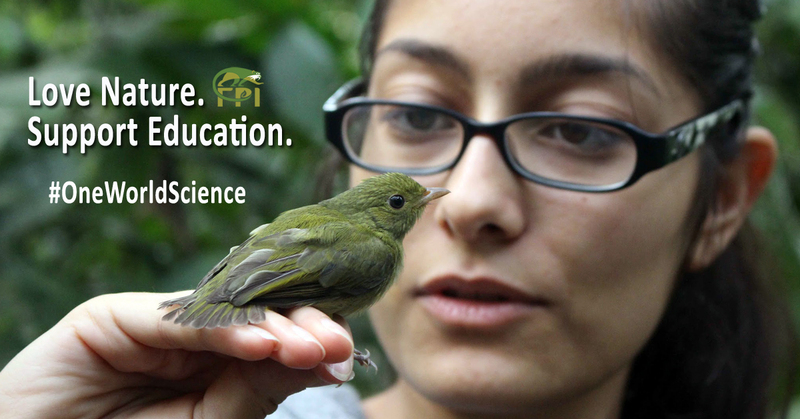 Read more about donating to FPI. Contribute to a Student Scholarship! We encourage you to use one of these images in your post – right-click to download the image and attach it to your post, or hover the cursor over the image to see share buttons for automatically generated posts on Facebook and Twitter.